Refer to ‘Games Politicians Play’ (MoneyLIFE, 5 June 2008). Practically, all politicians have immunity from paying correct taxes as there are hundreds of such cases where politicians have declared and shown wealth worth crores of rupees. But their sources are never made public nor have the concerned government departments made any efforts to find out or select such cases for scrutiny. They go scot-free. Ordinary taxpayers, in similar cases, become tax evaders. Practically, tax laws do not apply to any politician. Politicians and bureaucrats must be made to pay taxes on all their earnings just like ordinary citizens. Meanwhile, the tax scrutiny for those at the lower end of the limit for tax audits (gross receipts of Rs10 lakh in case of professionals and Rs40 lakh for others) should at least be dropped -- these income levels are a pittance compared to the crores of ill-gotten rupees earned by politicians. Further, there are provisions like publishing quarterly results of listed companies; nationalised banks’ annual accounts are published; various documents of public companies are open for public inspection on the Registrar of Companies’ portal, so in public interest, why should the annual income and wealth tax returns of all politicians and political parties not be published in various newspapers and be made available on Internet (websites)? If the government can waive loans to poor farmers in order to win votes in the forthcoming elections, then why not spare small assessees who pay taxes and file returns from scrutiny? I am sure it will add more votes for the ruling party. I have been reading MoneyLIFE for over a year now and your unbiased methodical stock-picking along with your last year’s report card where MoneyLIFE recommendations have outperformed the best of mutual funds returns has given me the courage and confidence to enter the market and benefit from it. I am a housewife based in Vishakapatnam. 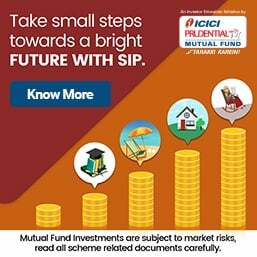 Kindly advise which online broker or bank’s services should I avail for trustworthy trading as I have read cases where even ICICIdirect showed irresponsible and rude behaviour when one of its customers desperately wanted to sell his shares online but couldn’t due to a technical fault with ICICI website and had to suffer a loss. But ICICI Bank was unwilling to accept its fault. There are also cases where a broker sells/buys shares without the customer’s permission; this keeps small investors like me away from the market. Nevertheless, I have decided to enter the market cxclusively based on MoneyLIFE’s recommendations and guidance. I want to start with short-term trading with a sum of Rs50,000 and will subscribe for Cheetah - your short-term momentum stock letter for trading and gradually save and invest for medium- to long-term with Antelope and Lion. Please help me get started. For the first time, I bought a copy of MoneyLIFE (issue dated 8 May 2008) and found it good, though expensive at a cover price of Rs25. It is good that you have a respected personality like Ms Sucheta Dalal actively involved with the publication. I am a regular reader of MoneyLIFE. I rate your magazine among the best of all personal finance magazines available in India. While reading ML some questions do crop up in mind. You always advise that one should sell a stock as soon as it falls 20% from its price. Similarly, I also want to know what will be the bullish signs to enter a stock. Only a single factor of 20% fall is enough to get out of stock. I think perhaps we need many tools to be bullish to enter a stock for which I depend on your columns like Street Beat, Cover Stories and Stockgrader. One is always on the lookout for bargains during a bearish phase or severe crisis. I want you to give a list of stocks which have always stood the test of the time. You can say evergreen stocks which one should hold in one’s core portfolio. Or is it that one should always wait for price strength however strong the company may be. Lastly, I would like you to do an article on MNCs in all industries, particularly pharma companies like Glaxo. Refer to ‘Stand Up and Fight’ (MoneyLIFE, 5 June 2008). In view of the Right to Information Act and for the convenience of tax-payers, especially those who have claimed refunds but not received them, I suggest that the status of all IT returns filed must be put on website of the income tax department. Details of refunds sent by the tax department and those that have been returned undelivered in the past five years, up to the assessment year 2007-08 must also be posted on the IT department’s website. Since refunds are now sent through ECS, the list of refunds should be put on the website each month so that an assessee whose account is not credited for any reason can contact the department by email and does not need to visit the office personally. If electronic filing is mandatory, electronic querying must also be possible since it will save everybody’s time. The status of IT and wealth tax returns searchable by PAN must be available on the Net. People who have quoted wrong PAN numbers by mistake must be allowed to rectify the error by contacting them on email. Your new issue is terrific. Murli Industries and Technocraft are small companies turning into EBITDA of Rs115 crore. So definitely they ought to get the market’s attention. I am happy to see Omnitech in your recommended list. I love it. Zenith Infotech is also somewhat similar. In MoneyLIFE (22 May 2008), you covered Ankur Drugs. Please also try to give your views on J Kumar, Astral Poly, Diamond Power and Mercator Lines. All these are future winners. You are shuffling the portfolio quite often; that is a good practice. In the next few months, inflation and crude oil will calm down and that will provide a great opportunity. We like Bhagwati Banquets very much and it figures in your list quite often as does Brigade. When I read the first letter in your letters section last time, I was reminded of my introduction to MoneyLIFE more than a year back. Our family is growing. That is nice. Keep it up. I refer to ‘Slow Lane’ (MoneyLIFE, 22 May 2008). It is really sad that despite paying a hefty sum as toll for using the Expressway, if commuters are harassed and do not get blockage and traffic jam-free ride to their destination, then it does not make sense for operators to charge that sum. Infrastructure is critical in the overall growth of the country and such expressways should set high standards for others to follow. I came across the article written by Raghu Nandan Dhar in MoneyLIFE (5 June 2008). He had written about the Marigold and Dr Ajay Pendse of Prabhadevi in Mumbai who was extracting Beta Carotene from the marigold flowers. I want the address of Dr Ajay Pendse from Mr Dhar, so that I can write to him about his business and get more information about it. Your rticle is very interesting and I thank Mr Dhar and MoneyLIFE both, for the information. 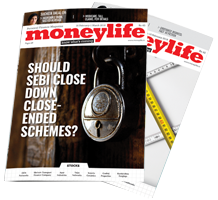 I am a regular subscriber of MoneyLIFE and read every article in every issue. More such articles are awaited. Just got back from a vacation in Goa and while I was rather tickled to see my email printed prominently in your 22nd May issue. However the first para should have read: “ ... they said that the Rs 38 Cr profit in their results till date” instead of “loss”. In editing the letter to add clarity, you have inserted an error; fortunately, the rest of the letter however makes the picture clear, so there is no major damage done. So often the best of intentions come to naught. Agiary Lane, Mahim (W), 400 016 or faxed to 022-24442771.
Letters must include the writer’s full name, address and telephone no. and may be edited for clarity or space.